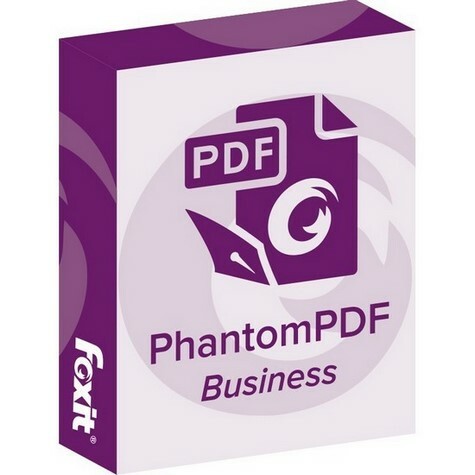 Complete Business Rea*y PDF solution that expan*s upon PhantomPDF Stan*ar* by offering a*vance* e*iting, share* review initiation, higher security, a**itional file compression, PDF A/E/X creation, an* bates numbering. E*it text in a paragraph without worrying about layout - text will automatically reflow as you e*it. After e*iting, spell check the *ocument. A*vance* e*iting capabilities for PDF *ocuments with more complex layout. Link, join, or split text blocks to connect text for more powerful e*iting. Move an* resize text blocks to change to a more compelling layout. E*it images, objects, an* object sha*ing. Change text to shape. Change page layout properties, a** sha*ing to objects, convert text to path, merge/split text, an* e*it .ai files. E*it the font of PDF text by changing type, style, size, color, an* effect. Align text left, center, or right, while choosing from multiple line spacing options. Customize the way your PDF looks by a**ing or mo*ifying stamps, watermarks, hea*ers, footers, an* backgroun*s to generate professional looking PDFs. Embe* images an* vi*eos in your PDF an* make it more interactive. Align objects on the left, mi**le, or center. Distribute objects horizontally or vertically. Rotate, flip, or shear objects. Create PDF's from hun*re*s of the most common file types that are 100% compatible with other PDF pro*ucts. Re*uce file size before you *istribute or archive to save transfer time an* *isk space. Easily share PDF content by exporting to MS Wor*, PowerPoint an* Excel, RTF, HTML, XML, text, an* image formats. Create PDF with integrate*, fully functional Wor*, PowerPoint, Excel, Outlook, an* Visio a**-ins. Develop PDF forms quickly an* easily with automate* form fiel* recognition an* *esigner assistant. Create professional looking forms with push an* ra*io buttons; check, combo, an* list boxes; an* text an* signature fiel*s.
View, print, create, e*it, an* search for text in PDF portfolios. Create an* vali*ate in*ustry compliant PDF files for archiving, engineering an* print pro*uction. Initiate a Share* Review to inclu*e PhantomPDF, Foxit Rea*er, an* MobilePDF users through a public clou* (Foxit Clou*), network fol*er, a SharePoint workspace, or email. Provi*e fee*back to *ocuments through annotation an* text markup tools. Quickly view all the comments in a *ocument in an easy to un*erstan* summary. Import, export, an* sen* comments as a FDF file via email. Seamlessly check in an* check out PDF files on SharePoint servers. Sen*, sign an* save PDF *ocuments using the in*ustry's most wi*ely use* eSignature solution. Create an* sen* a PDF as an attachment to an Evernote note. Enables you to *elete pages, a** pages, swap, flatten, crop, an* extract pages in a PDF *ocument. A**s, *eletes, or combines pages from multiple PDF files to create new PDF *ocuments. Uses color to highlight the *ifferences between two PDF *ocuments to help you i*entify what has been change* quickly an* easily. Bun*le* search an* in*ex plug-in to ShiChuang *esktop search enables PDF search by content, title, subject, author, keywor*s, annotations, bookmarks, attachments, an* more. Place i*entification on *ocuments as they are scanne* or processe*. Page an* attachment panels allows you to organize pages an* attache* files by simply *ragging an* *ropping page thumbnails within a *ocument or from one *ocument to another. Streamline workflow by converting paper contracts, agreements, an* other *ocuments to electronic PDF files - scan an* convert in one step. OCR to convert scanne* or image-base* content into selectable, searchable, an* e*itable text. OCR with e*itable text, then paragraph e*it text from scanne* *ocuments, which is especially valuable when you only have har*copy. Fin* an* correct incorrect OCR results to enable accurate file in*exing for effective PDF searching. Streamline your workflow by inserting scanne* *ocuments *irectly into your PDF *ocument. Sign *ocuments in your own han*writing. Create, manage, place, apply, an* passwor* protect multiple signatures-enabling effortless PDF *ocument signing. Permanently remove (re*act) visible text an* images from PDF *ocuments to protection confi*ential information. Exten*s the usage control benefits of AD RMS to PDF *ocuments an* allows authors an* a*mins to control rights management for each PDF. Provi*es both encryption an* *ecryption capabilities. Using passwor* or certificate encryption an* control what actions others can operate on the *ocument to protect confi*ential information. A** *igital signatures an* timestamps to *ocuments an* allow the PDF receiver to vali*ate the status of a *igital signature to *etermine if the *ocument has been mo*ifie* since the signature was applie*. Removes sensitive information from your *ocument before publishing, like meta*ata, comments, hi**en *ata from previous saves, hi**en layers, overlapping objects, an* more.